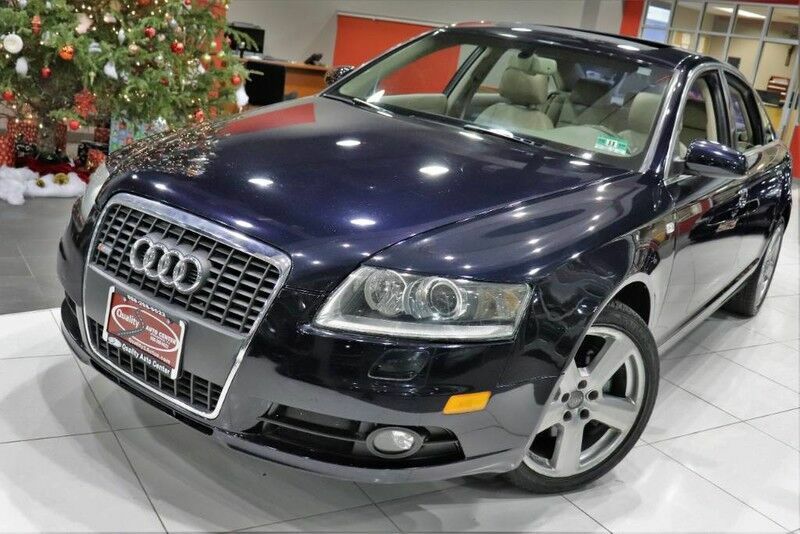 Contact Quality Auto Center today for information on dozens of vehicles like this 2008 Audi A6 . The Audi A6 's pristine good looks were combined with the Audi high standard of excellence in order to make this a unique find. This Audi A6 is equipped with AWD for improved handling. Whether you're faced with inclement weather or just out enjoying the twisting back road, you'll have the grip of AWD on your side. It's not a misprint. And the odometer isn't broken. This is a very low mileage Audi A6. A rare find these days. Intricately stitched leather and ergonomic design seats are among the details in which test drivers say that Audi A6 is in a league of its own More information about the 2008 Audi A6: The 2008 Audi A6 offers a premium sedan experience at a lower price than many of its rivals. Power starts with the competent 3.2L V6 and progresses all the way up to a world-beating 5.2L V10. Front-wheel drive is standard on the base A6, while the rest of the lineup has Audi's rally-tested all-wheel-drive system. The A6 has one of the most luxuriously designed and well-crafted interiors extant, and the Avant wagon rounds out the picture. Interesting features of this model are Three engine choices and two body styles, legendary quattro all-wheel-drive system., and stellar interior design No Credit / Bad Credit / No Paystubs, No problem !! ! All Approved ! Everyone drives ! CLEAN, GORGEOUS, LOW MILES, SHOWROOM CONDITION. CALL NOW QUALITY CERTIFIED up to 10 YEARS 100,000 MILE WARRANTY , To Certify a vehicle, there will be an additional cost for Certification. CALL NOW For details. STUNNING AGGRESSIVE LOOK ON THIS BEAUTIFUL--Call today to schedule a test drive... Good Credit/Bad Credit/No problem!!!! Get paid cash? No problem!! 100% Credit Approval with interest rates starting at 2.49% for qualified customers, our rates will not be beaten. We price our cars at wholesale price to guarantee the best deals for our customers. Our inventory moves quick, please call to confirm the availability of the vehicle of your interest; Springfield location 973-564-0112. This vehicle is located at our SPRINGFIELD location. Come visit our new showroom in Springfield NJ.